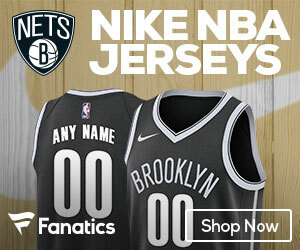 The Brooklyn Nets were looking to extend their win streak to four games and start the month of April 4-0 as they flew into Orlando to face the Magic last night, but unfortunately Brooklyn’s fourth quarter comeback fell just short and the Nets went on to lose 115-107. This was a game that Brooklyn could have and should have won. Despite Brook Lopez only scoring 10 points, Rondae Hollis-Jefferson netting six points, and Randy Foye failing to score at all the Nets were in position to win this game after halftime. Jeremy Lin had his best game offensively on the season and Caris LeVert had a career game, but Brooklyn’s poor third quarter and a big performance from Jodie Meeks was enough to lift the Magic over the Nets. Over the past few weeks, Lin has been going through a shooting slump. He was attempting too many three pointers and jump shots, he looked exhausted by halftime in most games, and he was visibly frustrated at times. It looks like all of that is in the past after last night’s explosion from the floor. Lin scored a season high 32 points on 11 of 22 shooting from the floor and five of nine shooting from deep. In addition to his scoring he dished out three assists, pulled down five rebounds, blocked one shot, and had two steals in 31 minutes of action. He was in full attack mode for most of the game and it was almost enough to get the victory over the Magic. This game was what Lin needed after struggling for so many games from the floor. He has been the catalyst behind Brooklyn’s post All-Star break revival since coming back from the hamstring injury that derailed the season. Even though this game ended up a loss for the Nets, Lin will walk away from this game with all the confidence he needs to go forward and finish this season strong. The development of Caris LeVert was the lone bright spot on the lost season until Lin came back from injury. Last night he was able to set a new career high in points scored with 20. He shot seven of twelve from the floor and two of four from deep in 26 minutes of action. In addition to the 20 points scored, he also added one assist, four rebounds, and shot a perfect four of four from the free throw line. LeVert has been playing most of his time at small forward since Lin’s return but he is versatile enough to play three positions with relative ease. It’ll be interesting to see how this team builds around these pieces for next season. Hollis-Jefferson has been playing a lot of time at the four but he is more suited to play small forward. A lineup of Lin-LeVert-RHJ-(insert stretch four that defends? )-Brook could be a lot of fun to watch. This was a game that was lost in the third quarter for Brooklyn. They went into halftime tied at 50 points but then allowed Orlando to go on an 18 point run which essentially put this game out of reach for the Nets. Brooklyn was outscored 36-21 in the quarter largely in part to a gigantic game from Jodie Meeks. After a terrible showing in the third, Brooklyn attempted to pull themselves up by their bootstraps in the fourth quarter but ultimately came up just short. The Nets outscored the Magic 36-29 in the fourth quarter behind strong performances from Lin and LeVert, but those eight points proved to be just too much of a difference. This should’ve gone Brooklyn’s way. Some will point to poor officiating, others will point to a lack of execution late in the game. But the real reason was the third quarter. If Brooklyn stops the bleeding in the third a little sooner then maybe this game goes a different way.